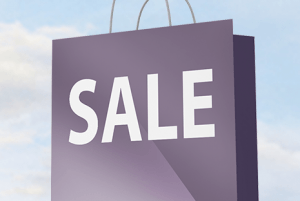 Why buy your organic mattress and bedding from The Natural Sleep Store? 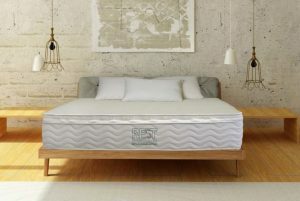 For nearly 12 years, The Natural Sleep Store has been providing some of the highest quality natural and organic mattresses and bedding products available. At The Natural Sleep Store, we believe in educating our customers about why sleeping as natural and organic as possible is the best way to sleep, and guiding you to the products that best fit your needs. 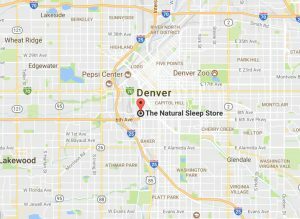 Everyone at The Natural Sleep Store uses the products we sell. We recommend them to our family and we recommend them to our friends. We believe in our products. We trust that the items we offer are what they say they are: natural, organic and chemical free; and we trust the manufacturers who provide them. We are a close-knit company with a handful of employees. We seek to build relationships with our customers by providing individual attention and quality service. Natural and organic mattress with three layers of 3 inch dunlop latex. Choose soft, medium, or firm for each layer! On sale for 25% off! 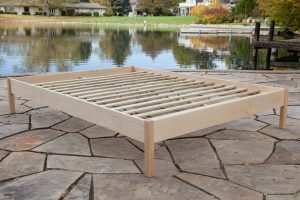 Solid wood platform bed frame made with thick rails. Available in Maple or Oak with a VOC-free finish. Amazing prices on this healthy pocket coil mattress free from chemical flame retardants, harmful outgassing, and polyurethane foam! Adjustable pillow filled with bits of wool. A customer favorite! 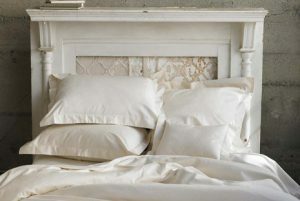 There are a number of reasons to choose natural and organic mattresses and bedding. Besides eating organic, we feel that “sleeping organic” is a simple, important way to maintain a healthy lifestyle. Our environment is filled with chemicals and toxins, including a lot of the mattresses on the market today. 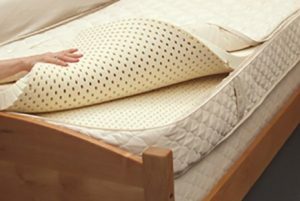 The mattress you are currently sleeping on could be emitting toxic, cancer causing chemicals. 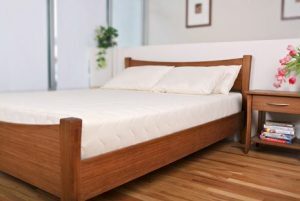 An organic mattress is the foundation of a healthy bedroom and an easy, impactful place to start since we spend almost one third of our lives in bed. Our best selling natural and organic latex mattresses are superior in comfort, supporting the body and providing pressure point relief where needed. These healthy mattresses, and all of our organic bedding, use natural fibers such as organic cotton and organic wool, which have been found to promote a sounder sleep. Organic mattresses made from these materials, especially latex, are extremely durable. 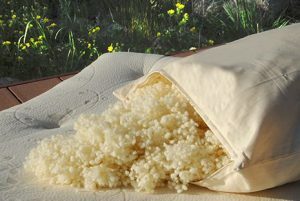 They last longer than conventional mattresses, which make organic latex mattresses a great value for the price. Natural and organic products are better for the environment. The products we offer are grown, raised, and manufactured without the use of chemicals and with minimal impact on the environment. We offer a nice range of products, from the economical to the luxury, so that we can best meet the needs of everyone. Organics are expensive and do not easily fit into everyone’s budget. With our low prices and our more economical lines, we are able to provide healthy options for our cost-conscious customers. We also offer beautifully made high end products for our customers who place a premium on luxury. 1. “Like” us on Facebook for information on current and upcoming promotions and giveaways. 2. Sign up for our mailing list and receive exclusive mailing list only offers and coupons along with details about fantastic discounts, promotions, and frequent giveaways. We won’t clog your inbox! Email frequency is once a month or less. What are our customers saying about us? Read notes and testimonials from our customers. Please do not hesitate to contact us with any questions. We will help you purchase the best organic mattress on the market today. We’ve also expanded our product line to include other natural home products such as natural solid wood bed frames and air purifiers.